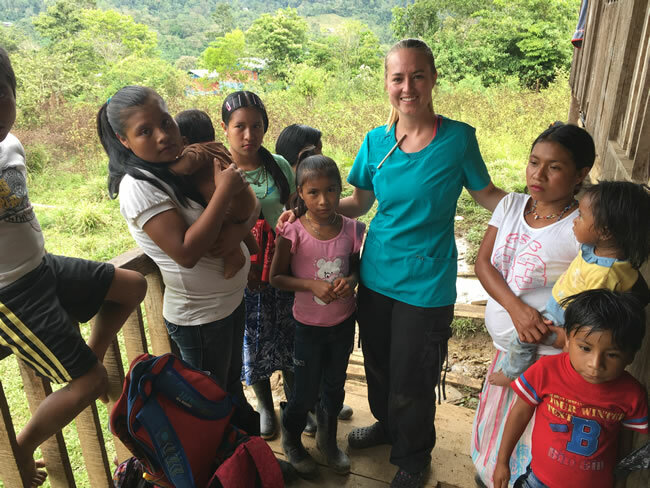 Thanks to generous donors Rebekah Jones, DDS, our dentist, opened the Comunident Dental Clinic in Grano de Oro in March 2016. 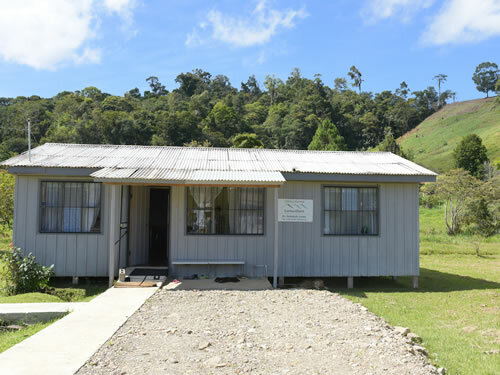 The permanent clinic has state of the art equipment for x-rays, cleanings, fillings and maintaining electronic patient files – 700 were created in the first year, but this is just a small percentage of the 8,000 indigenous residents who need dental services. We provide specialized treatments – root canals, laminated composite veneers, and oral surgery. There is also a basic laboratory to make partial or full dentures for patients who have lost teeth. 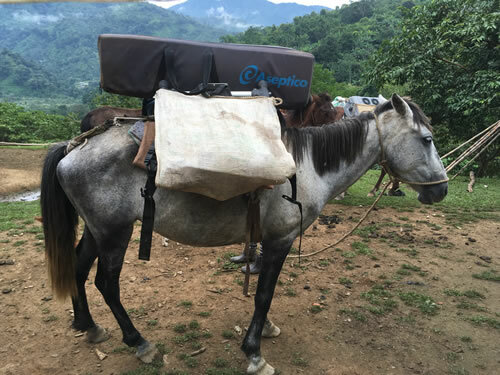 Our equipment for the mobile clinic can be loaded on horses and hauled to strategically located communities within the Cabécar Reservation for cleanings, fillings, doing extractions and to examine patients being referred for more specialized care at the Comunident Dental Clinic. 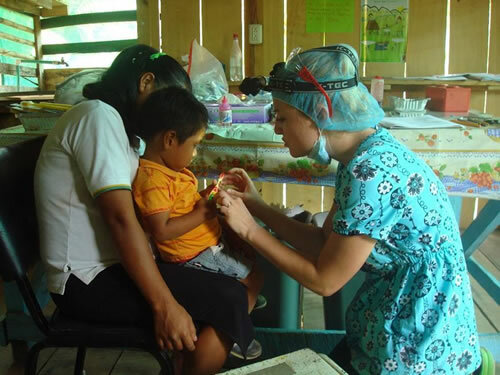 Rebekah alternates between working at the permanent clinic and with the mobile clinic. 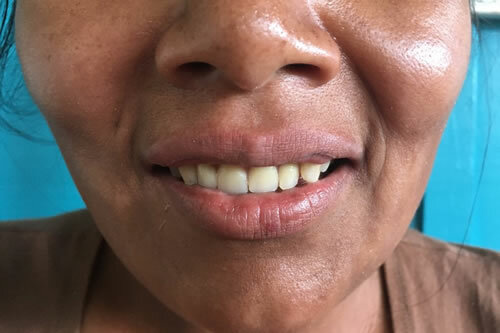 She has trained two Cabécar women as assistants at the dental clinic and one of them is also training as a lab technician for making the dentures. In the future Rebekah hopes to mentor indigenous dental health promoters in the reservation who will teach oral health classes in the schools and homes, and do dental check-ups to screen patients being referred to the dentist. With the introduction of new foods and refined sugar into the Cabécars’ diet in the last 10 years, there has been an increase in oral health problems. It is most evident in the many children with “Bottle Mouth Syndrome” who have decayed teeth caused by drinking sugary beverages. 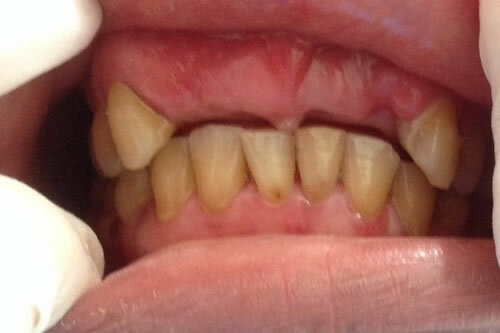 One 16-month-old patient had to have teeth extracted due to decay and pain. 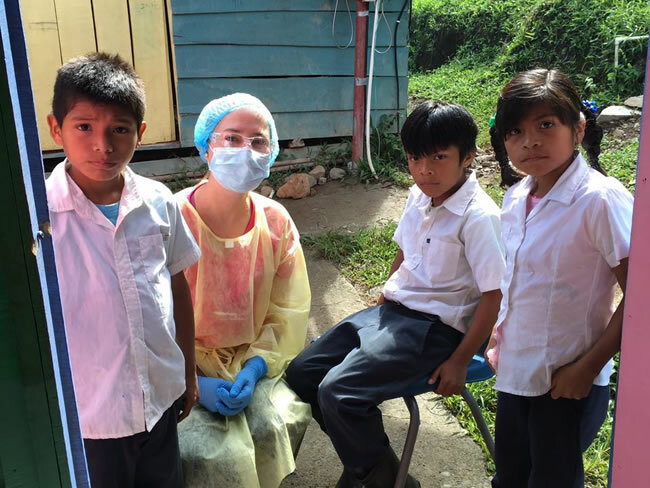 Rebekah hopes that with increased education, and long-term treatment, the focus will soon change from the current invasive dental care to preventative care. 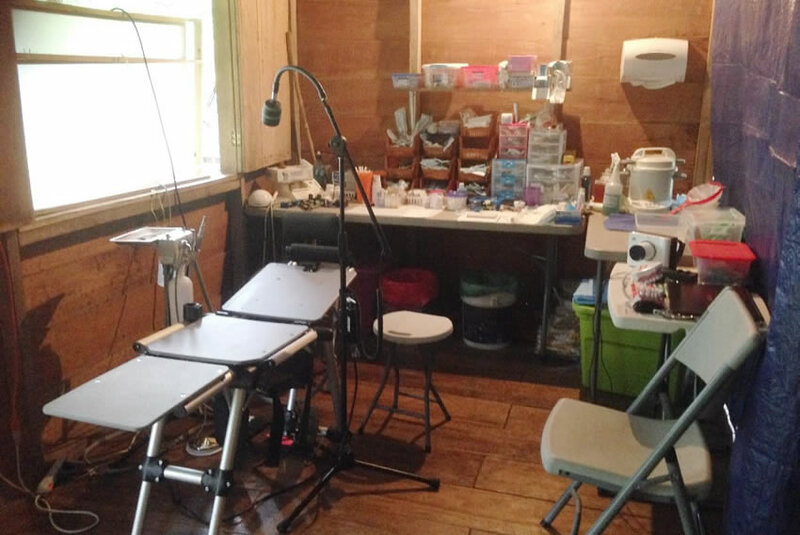 Our Dental Clinic Project is funded by donations that cover the ongoing expenses – rent, electric bills, staff wages, dental supplies, and the trips into the reservation. These trips alone cost about $500 per week. There are a variety of ways to donate. The idea and dream of Comunident Dental Clinic started many years ago. I (Rebekah Jones) was 9 years old when I met Dr. Miguel Lopez, a missionary dentist in Colombia. He came to teach the indigenous public health workers about dental care, from cleanings to extractions. This was in 1998 and I was homeschooling at the time. I tagged along to attend the course and I took everything very seriously. After that the little seed to become a dentist was sown and in 2007 I started studying at the university in San Jose to pursue the dream. It took me 8 years to finish and during this time I saw God provide for my daily living expenses and also for all my materials and equipment. Many times my classmates would have everything bought at the beginning of the course, and God would provide for me the day before I needed these things. So, from the beginning my dream was to come back to my hometown, Grano de Oro, in the mountains of the Chirripó Territory where my indigenous friends lived. Many people, and even professors, would laugh or try to discourage this idea, telling me it wasn’t possible to live off of and run a full-time, non-profit clinic. But a few others believed in this dream and encouraged me, and even today have been a blessing. The Lord also provided my wonderful husband Joel, who highly dislikes gross mouths but was a perfect partner to help make my dream a reality and continues to keep things functioning. In February 2015 I graduated, feeling happy to be debt free and moving to Grano de Oro to see what would happen next. Many of my classmates were excited to share the news of a job they already had. They would ask me, “What are you going to do Rebekah?” I always answered, “I will work among the Cabécars in the mountains.” They thought I was kind of weird for turning down several good job opportunities to pursue this dream. Many times I was scared or discouraged, especially when I considered the costs related to a dental clinic. Joel and I had been praying a lot for this project and slowly but surely the Lord kept opening up doors. During February 2015 we rented an older wooden house and started remodeling it. Month by month we worked and Joel taught me a lot about carpentry and I helped in any way I could. Then in December our son Benaiah was born. At the same time we were working on the permanent clinic, we dreamed of having a fully portable clinic to go into the mountains and provide treatment in the reservation. We knew this was pretty ambitious, so we just took it one step at a time. Then a group from Switzerland gave a large donation for the portable clinic equipment. A dentist from the USA helped us purchase everything and delivered it to Costa Rica. We were also able to buy a portable X-Ray machine, an intraoral camera, and a digital X-Ray sensor. This was all so amazing! By January 2016 we had been very blessed, but were still lacking many things. At this time an anonymous donation came in that covered the purchasing of all the equipment, materials and instruments for the permanent ComuniDent Dental Clinic. I couldn’t believe it! I was overwhelmed at this time because of all the responsibility and decision making during this process. I called on many of those experienced people who had encouraged me in the past and asked for their advice. We finished remodeling, installed the equipment, and had the dental clinic inspection in March 2016. God is so good! Here we were one year later, ready to start. The clinic opened and I began to treat patients in the middle of March 2016. I have learned so much since then and will continue to do so for many more years. 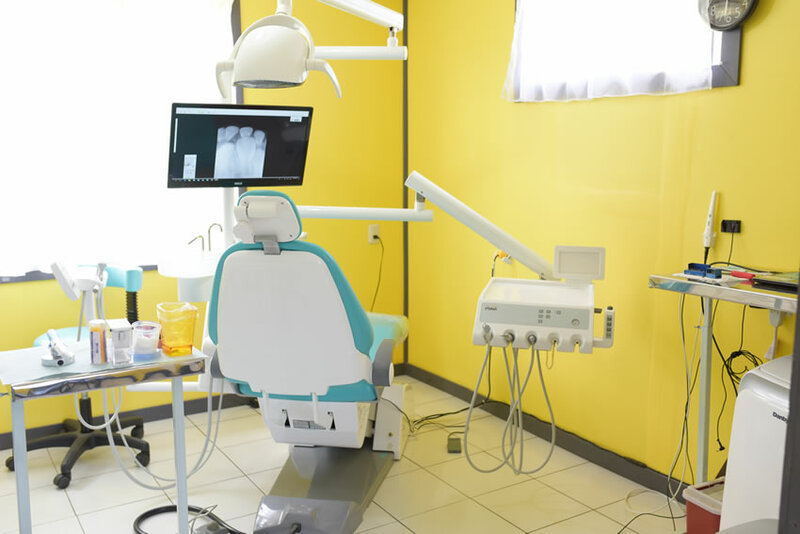 The Lord has provided special dentists here in Costa Rica, the United States, and Switzerland to provide support when I feel alone or have questions. For us this isn’t just a dental clinic. We pray it’s a place of refuge, of encouragement, and a place where patients and family members feel the love of Jesus. It is the reason we use quality materials, and provide special, loving care for those we treat. Here we can pray and share the Gospel of Jesus Christ with others, meet new people, and build long lasting relationships. We have patients pay a small fee to give them a sense of dignity and responsibility to take care of what we have done. For indigenous families we charge $2 for children under 12 years old, no matter how many procedures we do, and $4 to anyone over 12 years of age. The local non-indigenous patients pay a little more and this helps generate income to cover some costs. In the reservation, patients can give chickens, eggs or other produce from their farms as payment. During the first year we registered 730 patients in our digital filing records. Of this group 55% of them are women, 38% are under 12 years old, and 66% have come to get treatment 2 to 5 times. This last number is significant because we want to change the mentality of just seeking treatment when in pain. In January 2017 we began keeping track of the number of patients treated daily and the types of procedures done. 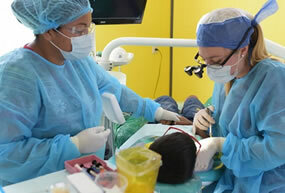 During the first 4 months we treated 269 patients and did 659 procedures. These included cleanings, sealants, extractions, fillings, surgeries, and dentures. In addition to taking the mobile clinic into the reservation to give dental treatments, we also did two preventative dental health trips. During these week-long trips we visited communities, homes, and families to distribute toothbrushes and teach people how to take care of their teeth. the clinic and us financially so we can keep working. We are so blessed to have you all with us!